Sales Demo Case | Custom wood boxes and cases. Made in the USA. 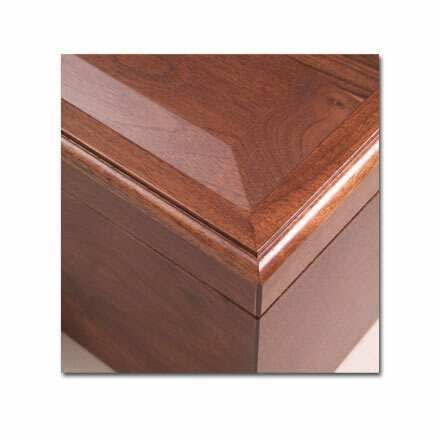 The timeless beauty of Solid Walnut is evident in this sales demo case, handcrafted by Pocumtuck. 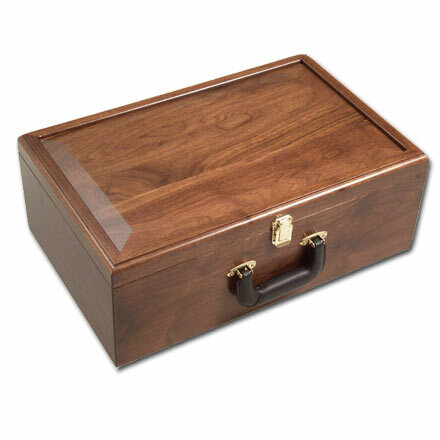 While the beauty of real wood says a lot about the product inside, the finer details – a raised panel wood cover, 45 degree mitered corners and a leather wrapped handle with matching latch hardware – make this a crafted custom box of lasting value. Other options for a similar piece would be a flat wood panel top, or glass or bonded leather top insert.